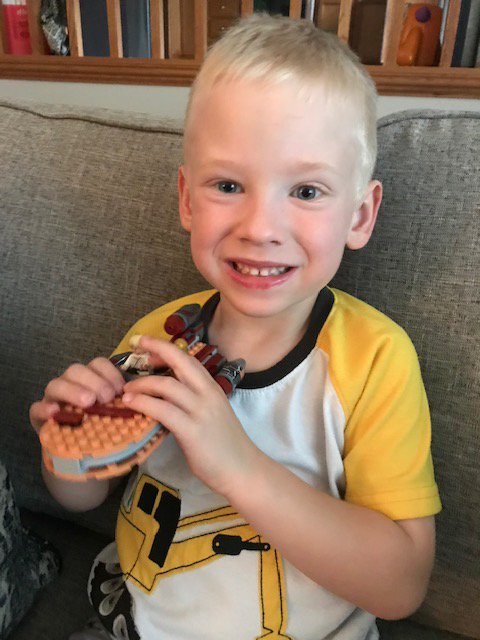 "Our son, Ryne George Dudley, was born at 25 weeks in the neonatal intensive care unit (NICU) at University of Iowa Stead Family Children’s Hospital. It's hard to believe it's already been five years since we were there! Ryne was born on Aug. 5, 2013, and weighed 1lb. 11.5 oz. Our stay totaled 97 days, with Ryne going home just before his actual due date in November. The NICU really did become our home, and the staff our family. Everyone went above and beyond to help us. The friendliness of the staff and the genuine care for our son made our 97-day stay as good as it could be. We wouldn't have traded it for anywhere - or anyone - else. Our experience with UI Stead Family Children’s Hospital was, in one word, incredible. From the very moment we were admitted to the day we went home with Ryne, we were treated like family. Jessica Wallace was an incredible nurse to meet at the onset of our stay, and made us feel welcome and comfortable during a stressful and scary period in our lives. No question was treated as a bad one, and we felt as though we were always informed. When we learned that one of the members of our care team had been a preemie himself, it gave us a lot of hope. We're so thankful for our team that included nurses Linsey Durst, Amie Deegan, Michael Henderson, and Jessica Jones as well as doctors Glenda Rabe, John Dagle, and Robert Roghair. I don't feel there was ever a moment that we were left out of our stay or the process we went through. For 97 days we had the best care anyone could receive, and to this day we recommend the NICU to anyone we know who may go through an experience similar to ours. We miss our staff daily, and return each year to celebrate Ryne's birthday with them. If it wasn't for them - and we mean this - our son wouldn't be who he is today. We owe them so much. There is no other place that I'd choose over the NICU at UI Stead Family Children’s Hospital. We were constantly connected and part of the process. If we had any questions, we felt they were answered and we were informed. I don't know why anyone would go anywhere else."